How are you? 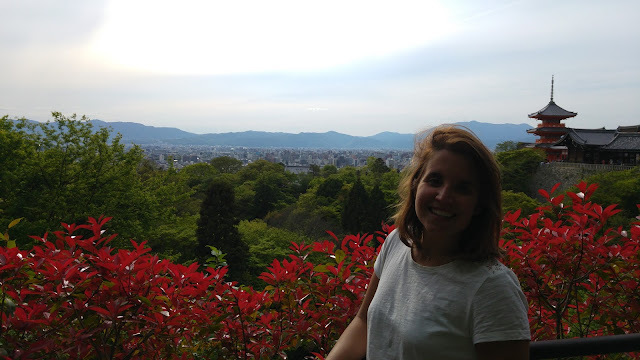 For me I could say "change is in the air", I started a new job as teacher and I recently found out that I was admitted to a course for tourism planning: I am happy! I haven't written for long time: I know, but I'll try to be forgiven talking about a famous italian tourist destination: Florence, San Gimignano and the Chianti hills. The last friday I decided to spend the week end in Tuscany with Luca, my boyfriend. 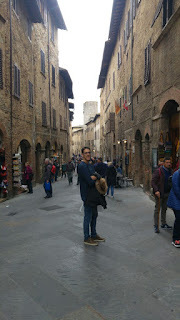 He loves eating and Tuscany is famous for its food and wines (but not as amazing as Piedmont) moreover I wanted to give to Florence a second chance, since the first time I visited the city I have not been very satisfied. We left friday afternoon and arrive in Florence around 6 p.m. We booked at Al canto B&B because the reviews were good: its a nice b&b a little far from the city center (but if you go to Florence by car you have to consider that the parking is a real big problem: there aren't free parking and you can pay between 25/30€ a day. This is why we decided not to stay in the city center). 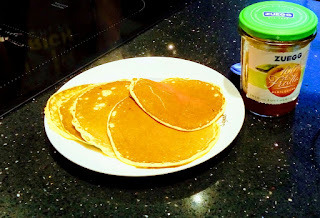 Our guest Linda was very nice, she is a canadian lady and was very helpful and friendly. The b&b is close to a bus stop that can take you to Florence in few minutes. Florence is one the most famous city in Italy: its has been a very important cultural centre during the italian Reinassance. If you love art Florence is the city for you: its not very big and you can visit the center by feet. 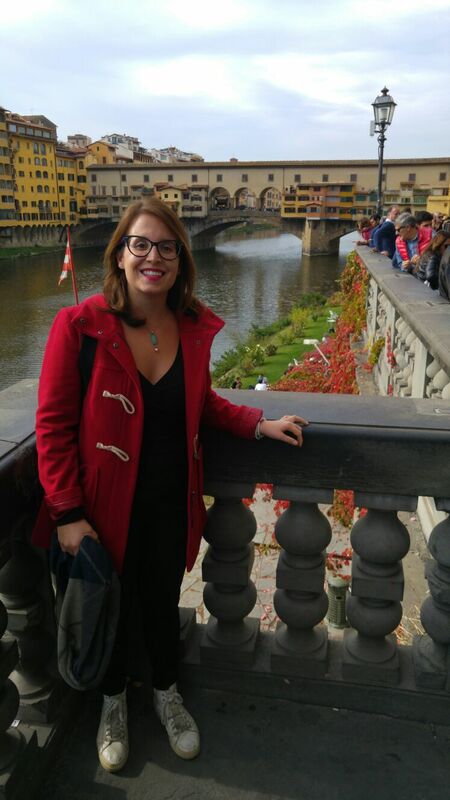 There are lots of attractiveness: The Duomo (Santa Maria del Fiore), The Uffizi, where you can see some of the most important paintings in the world, Santa Maria Novella, the Old Bridge and the Signoria Palace. 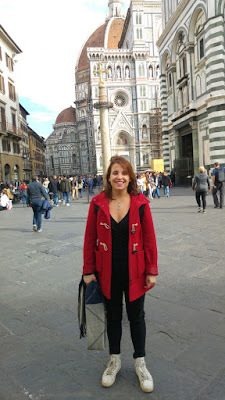 But Florence is not only art, but also good food and wines, vibrant atmosphere and romantic feelings. In my opinion one day is enough to visit Florence, but if you are an art addicted you can definetely spend more than on days in the city. 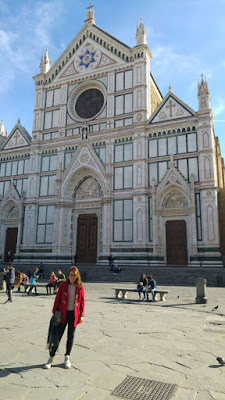 We started our tour from Santa Maria Novella because we decided to join the Free Walking Tour: the guide explained to us the main church's features, took us to Tornabuoni street, the fashon street, where you can find the big brands and go for luxury shopping. Tornabuoni street is a aristocratic street characterize by ancient and noble building. From the we reached the heart of the city: The Duomo square. The Duomo is really amazing: the dominant colour are white and green, its totally covered by luxury marble and inspire greatness and immortality. There are the Baptistery, with its renowned Paradise Doors, the Duomo, the Giotto's tower and the amazing Brunelleschi's cupola, an amazing example of fine art and great engineering. After the visit to the Duomo, which is free (to visit all the complex you can buy the multiple ticket which costs 15 euros and includes the Duomo Museum) we went to the Basilica of Santa Croce. The tour ended here, after a brief hint about the great artisan tradition that characterized Florence: above all leather skins and jewellery-making. We were quite hungry and tired and decided to gain new energies thanks to a very famous florence street food: the schiacciata. A delicious (and fat!) focaccia bread fill with all the amazing ingredients you can imagine: tuscan cured meats, tuscan cheese, vegetables, sauces...a paradise for the gluttons! We decided to try the Girone de' Ghiottoni, and we were completely satisfied: amazing food for really good price. After the lunch time you can have a walk trough the city center, visiting the Signoria Plaza which is one of the main important square in the city. Close there are the Uffizi, one of the most important museum in the world: it hosts some of the most important paintings and sculptures from the Middle Ages to the Modern Age. Obviously if you are crazy for Art you have to consider to spend lot of time in there and maybe one day won't be enough for you. We reached also San Lorenzo square where there is the Close Market, a very original revaluation od an old industrial area. Here you can find lots of different restaurants and alimentar shops: you can choose what you want to eat and then sit on the communal tables. The atmposphere is young and vibrant, you will definetly like it! Close the Uffizi there is the Arno, the Florence's river with its famous Old Bridge: there is a lovely promenade where you can take your sweetheart by arm and feel the love in the air. Florence is famous for its jewels and leather, close to the Old Bridge you can find lots of shops where you can buy precious souvenirs. We had a romantic cocktail in a cafè with a great terrace exactly in front of the bridge and after that walk across the twilight: a musician were singing a good song and I felt this incredible sensation of being eternal and invincible, as everything was full of unimaginable possibilities. The day after we visited San Gimignano, a Medieval village one hour far from Florence. The Village is tourist but absolutely love, it is well preserved, clean and very organized. 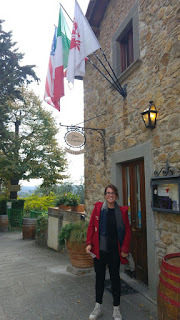 We drove one hour trough the Chianti hills: Chianti is one of the most famous tuscan wines and these hills are very typical. Since we come from Piedmont I am quite used to this kind of landscape and maybe this is the reason why I haven't been so impressed. We had lunch in Greve in Chianti, the Fiorentina was very good (and very big!) and we can started our quite long travel to go back home. This is how I spent my week end, what about yours? Have you ever been in Tuscany? Would have you organized differently your week end? Leave a comment down below!